The process for determining which cases from the Xarelto multidistrict litigation in the Eastern District of Louisiana will be included in a bellwether discovery pool has been determined. U.S. District Judge Eldon Fallon issued a case management order on Nov. 20 outlining the selection criteria. Both parties were initially tasked with preparing the pool of bellwether cases, but they failed to come to an agreement on selection criteria, so Judge Fallon was forced to devise his own plan. In total, 40 cases will be chosen for the bellwether pool, with each side selecting 10 cases and an additional 20 cases chosen at random. Judge Fallon’s plan indicates that half of the cases will have originated in the Eastern District of Louisiana, seven from any states chosen by the plaintiffs, seven from any states selected by the defendants, four from Mississippi federal court and two from Texas federal court. The only criteria for the seven states selected is that each have at least 20 eligible cases pending in the litigation. Judge Fallon has set the next status conference for Dec. 21. In the meantime, he has ordered the parties to meet to set case selection eligibility criteria and map out case categories. They have also been ordered to devise a selection plan for the four cases that will be the first to go to trial. He has indicated this method should be in place by June 10, 2016, in preparation for the first trial dates that are expected to be scheduled between February and May 2017. Currently, more than 2,800 Xarelto lawsuits have been consolidated under MDL 2592, which was established in Dec. 2014. Plaintiffs share common allegations that Bayer and Johnson & Johnson’s Janssen subsidiary knew about bleeding risks linked to the drug, but failed to provide an adequate warning to patients and medical professionals. The outcome of the Xarelto bellwether trials is not binding on other cases, but may help the parties to reach settlements. If not, each case will be remanded back to its original court for a separate trial. 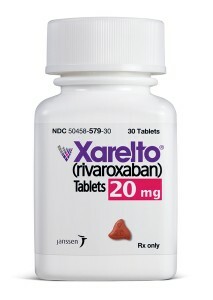 Xarelto is a prescription blood thinning medication, used to reduce the risk of blood clots after knee or hip replacement surgery, to lower the risk of stroke in patients with non-valvular atrial fibrillation (not caused by a heart problem) and to treat pulmonary embolism or deep vein thrombosis and help prevent a recurrence. The drug hit the market in 2011 — after receiving approval through the U.S. Food and Drug Administration’s priority review program, which offers an expedited review progress for innovative medications — making it the first oral anti-coagulant since warfarin was approved almost 60 years prior. 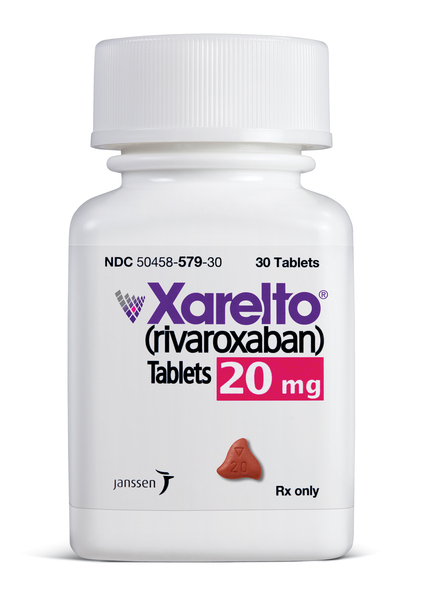 In 2014, the FDA rejected a bid from the drugmakers to expand the uses of Xarelto to include preventing new heart attacks and strokes, preventing the clogging of heart stents and death in patients with acute coronary syndrome (ACS). Johnson & Johnson conducted one clinical trial to justify the expanded label and the advisory panel ruled this did not provide enough evidence of its efficacy.